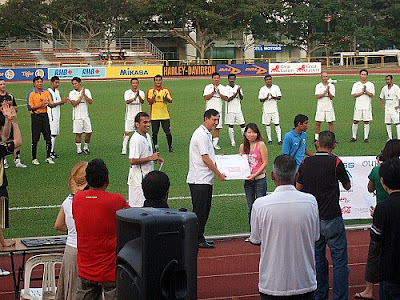 Was late for the game anyway but it was a good turn-out for this charity match organized by former Singapore international Rafi Ali, as thousands of fans turned out at the Tampines Stadium to catch stars of the yesteryears to parade their skills in aid for the four-year old cancer patient Charmaine Lim. there many ppl out there who adore the DREAM TEAM !! thats including me ! I love watching d dream team in action. 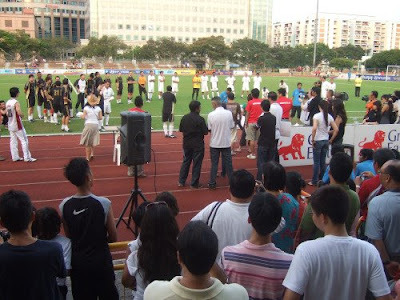 I went twice to watch them. Would love to know more abt them. Their current job, n family photos. All of them look great n friendly. 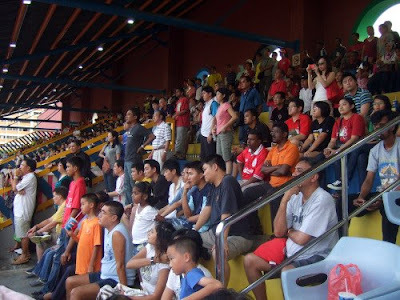 It sure brought back a lot of wonderful memories, just like what Rafi Ali said,"it's like playing in the Malaysia Cup".